This winter there are more ways than ever for Londoners to get healthcare and advice from GPs, practice nurses, pharmacists and other local healthcare services. This winter, we’re explaining how through our #MyLondonGP and #HelpUsHelpYou campaigns. On this page you’ll find everything you need to know about our campaign, including how to book evening and weekend appointments, how to get care from your pharmacist, how practice nurses can help you stay well, and also how you can get involved to help spread the word to your friends and family. Follow #MyLondonGP and #HelpUsHelpYou on social media to find out more about all the different ways to access your local healthcare this winter. Pharmacists can give you fast and free advice about a range of health issues including sore throats, rashes, ear aches, and cystitis. If you’re eligible for a free flu jab, they can also administer that too. You don’t need an appointment – you can just walk in to your local pharmacy store. It’s also now possible to arrange a face-to-face consultation with a pharmacist, during the day and out of hours. Call NHS 111 for this service. If you think you or your family member need urgent care, call NHS 111 or contact your GP. More appointments are available during evenings and weekends with GPs and their teams. If you phone the GP practice outside normal surgery hours, a recorded message will tell you who to contact. Alternatively, you can call NHS 111 for urgent help. Dr Mehta, a GP based in Hackney, explains why evening and weekend appointments work for patients in his area. Dr Velayuthan, a GP from Lewisham, tells us how to book GP care at a time that suits us. 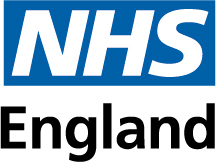 You can find out more about GP appointments on the NHS.uk website. Practice nurses are based in GP surgeries and are trained to treat a long list of health needs including colds and flu, urine infections, asthma management, joint pain, immunisations and more. Contact your GP surgery to find out more about how a practice nurse can help. The service is free and available to everyone who is registered with a GP. Speak to your practice about accessing GP online services and make managing your healthcare quick and easy this winter.